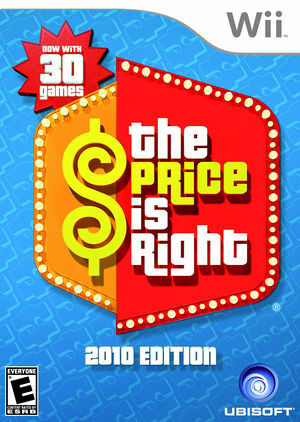 Now packed with even more popular pricing games than ever (including Golden Road, Safe Crackers, Secret X and many more) plus tons of new and upgraded game graphics and customizable avatars, The Price Is Right 2010 Edition is the closest that fans can come to Contestant's Row, the Big Wheel & the Showcase without actually being on the show. Featuring two distinct game modes (Classic, where contestants must win at Contestant's Row before getting access to pricing games and Three Strikes, where contestants get three tries to make it on stage to play pricing games), there are hours of fun to be had for the entire family. Graphics flash wildly unless Virtual XFB is enabled. Fixed with Hybrid XFB in 5.0-5874. The graph below charts the compatibility with The Price Is Right 2010 Edition since Dolphin's 2.0 release, listing revisions only where a compatibility change occurred. This page was last edited on 28 May 2018, at 00:35.